HPerformance has just finished a new tuning program for the previous generation Audi TT-RS and it is arguably the most insane kit I’ve ever seen on a TT-RS. There have been other aftermarket shops that have worked on the sports coupe, but nobody has been able to do what HPerformance just did. The German tuner, known for its works on Audis, Volkswagens, and Mercedes-Benz models, put the proverbial hammer down with an engine modification that puts enough power on the TT-RS to put real-world supercars to shame. Seriously, the program gives the TT-RS an output that’s north of 700 horsepower. Can you imagine what that much power can do to a car, let alone one with the status of the TT-RS? I’m getting goosebumps just thinking about it. Of course, the engine upgrade is the highlight of the kit. But HPerformance also did other things to complement it, even if said other “things” are minimal at best. But the lack of balance on the tuning kit shouldn’t take away from what the German tuner did to the TT-RS. With that much power sitting under that hood, I can only imagine what this car can do on a race track. 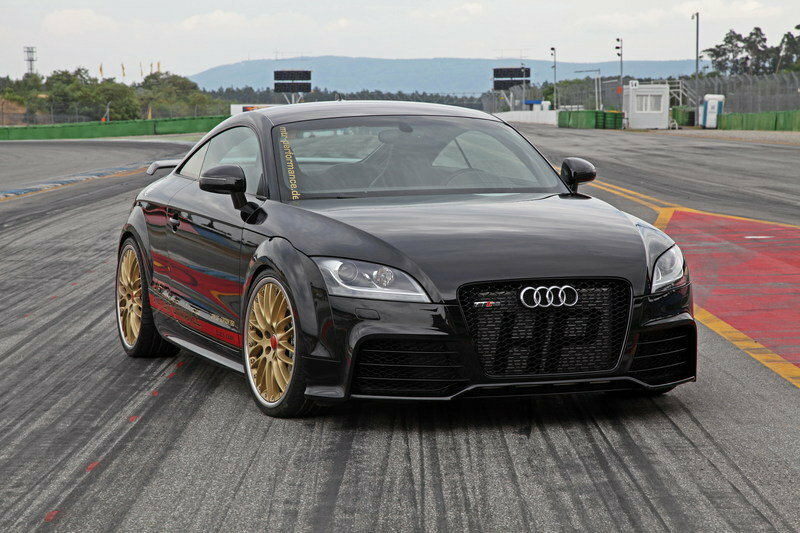 Continue reading to learn more about the Audi TT-RS By HPerformance. Visually, the Black Hawk still looks like a standard Audi TT RS. That’s not at all surprising since HPerformance isn’t really known for over-the-top exterior modifications. What we do get is an Audi TT RS with a handful of HPerformance-branded liveries just above the side skirts, a rear spoiler to help keep the coupe planted on the ground, and a fancy set of gold wheels. Other than these bits and pieces, the Black Hawk’s appearance really doesn’t give any indication on what kind of power it has under that hood. It’s the same story with the interior of the Black Hawk. HPerformance doesn’t say whether the cabin received any upgrades so in the absence of any information, we’re not going to assume anything was done in the form of any modifications. Keep that in mind in case you expect something that won’t be there when you avail of the program. It’s not all that disappointing since Audi interiors are usually tough to criticize because of their quality design and craftsmanship. HPerformance made up for the relative lack of any cosmetic modifications on the Black Hawk by doing the equivalent of a science experiment on the sports car’s. 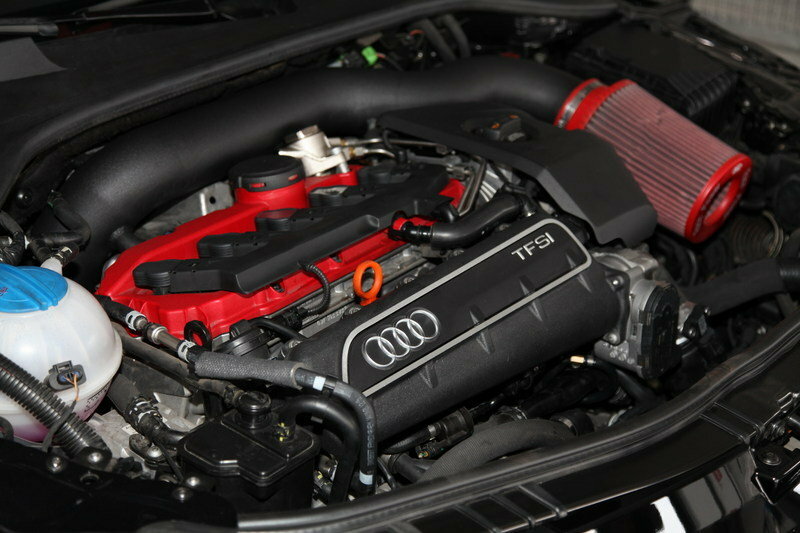 Using the TT RS’s 2.5-liter, turbocharged straight-five cylinder engine, Dr. Frankenstein, I mean HPerformance, dropped a GTX-35 turbocharger on the engine and mated to an in-house developed intercooler, exhaust manifold, and a 3.5-inch air intake. The tuner also worked on the sports coupe’s high-pressure fuel pump and installed optimized injectors to complete the modifications on the engine’s fuel feed. 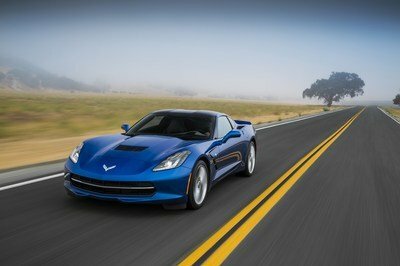 The engine can now produce as much as 739 horsepower and 649 pound-feet of torque. The result is nothing short of staggering. 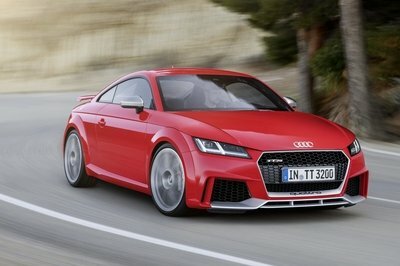 In standard configuration, the Audi TT RS is capable of producing 335 horsepower and 332 pound-feet of torque. With these modifications in tow, the engine can now produce as much as 739 horsepower and 649 pound-feet of torque. Considering that the standard TT RS can sprint from 0 to 60 mph in 5.3 seconds and hit a top speed of 130 mph, I’ll venture a guess that the Black Hawk can cover the same sprint time in about three seconds and reach a top speed in excess of 190 mph. That’s a staggering improvement in performance that, at least in my mind, more than makes up for the till subdued look of the Black Hawk TT RS. In order to handle that much power, HPerformance also installed a spring-borne sintered metal clutch and used the ceramic brake system normally found in the Audi R8. To complete the engine the program, the German tuner also enlisted the help of MRT-Performance to handle the car balancing. As you can expect, the entire program doesn’t come cheap. The price for this bad boy comes up to €50,000, which would be about $53,300 based on current exchange rates. 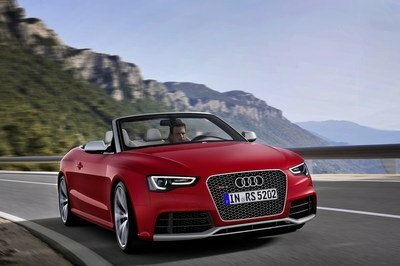 That’s a lot more than the $42,900 starting price tag of the 2016 Audi TT. If the price is too steep for you, then you can “settle” for HPerformance’s turbo kit. That one only sells for €9,999, or about $10,700. It’s not going to give 739 horsepower, but it is good for 592 ponies. I don’t know of any other tuner that has released a program that’s offering the kind of engine upgrade that HPerformance has. But there are other tuning firms that have made their own kits for the Audi coupe. One is ABT Sportsline, which released its kit back in 2013 for the previous-generation TT RS. Like HPerformance, ABT Sportsline’s kit for the TT RS focused less on style and more on substance. The tuner, for instance, limited the aero mods to a new rear spoiler. 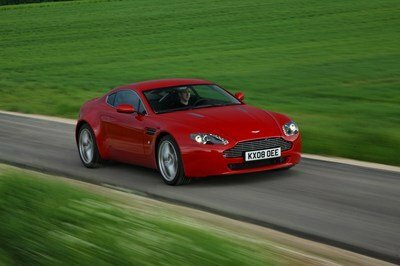 The focus was simply to beef up the TT’s 2.5-liter, five-cylinder engine. ABT accomplished that by adding its own turbocharger and air-to-air intercooler to bring the engine’s output up to 470 horsepower and 464 pound-feet. It’s a far cry from the 739 ponies and 649 pound-feet of torque HPerformance is offering, but it’s still a significant upgrade from the car’s standard output of 360 horsepower and 343 pound-feet of torque. The best part about ABT Sportsline’s program is its affordability. Compared to the insane price Performance is charging for its program, ABT Sportsline is only asking a fraction of that. 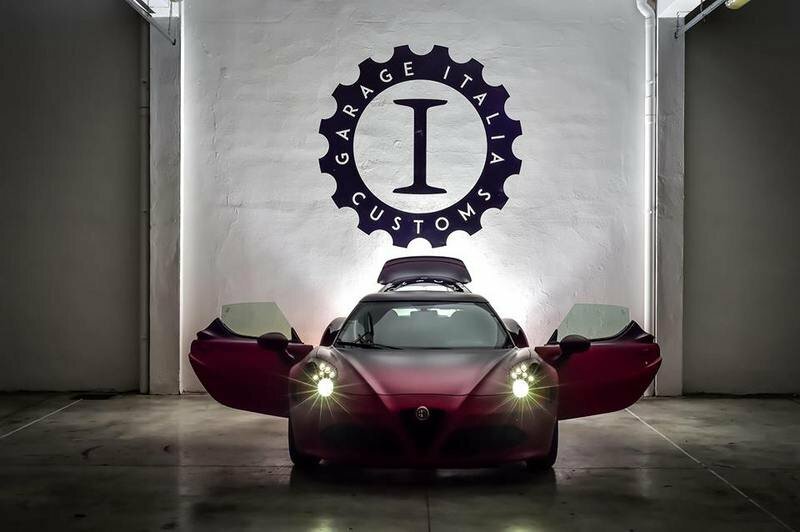 This one is a little tricky because it doesn’t have a performance upgrade, but the work done on Garage Italia Customs on the Alfa Romeo 4C is worth mentioning because of the focus paid into giving the Alfa a complete aesthetic overhaul. The exterior, for instance, features a matte pearl gradient effect paint that complements the Accursio Red body and the carbon fiber roof. The whole color setup is absolutely spot-on. The dark gold wheels are probably the only similarities between the 4C and the TT-RS, but you won’t find any complaints from me on both programs. As good as the exterior is, the real highlight of Garage Italia Customs’ work on the 4C is in the interior. One look at the cabin and you’ll immediately realize how aesthetically intoxicating it is. A majority of the interior surface has been wrapped in black and Red Alcantara, including the dash, door panels, seats, and center console on the steering wheel. It’s the kind of interior you normally see in cars that are fit for royalty. Unfortunately, the 4C doesn’t have any performance modifications so it’s going to fall short of what the TT-RS is capable of. But that’s where options come into the picture. Would you prefer a car with body and cabin like this, but without any engine upgrades? 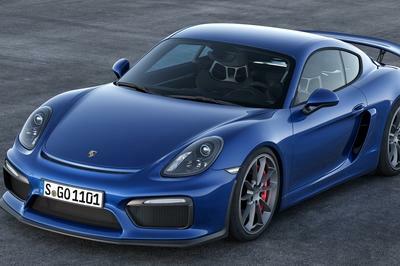 Or would you prefer a car with no cosmetic modifications, but has a 739-horsepower engine? There are programs in the aftermarket world that are usually described as “Frankensteins”. These kits usually involve incredible performance gains that are well beyond even our high expectations. HPerformance’s kit for the Audi TT falls on this list. I can’t remember the last time I saw or heard about a TT that packed this much power. I mean, if you think about, that’s more than most supercars these days. I’m not as warm on the absence of a comprehensive aerodynamic kit, but I’m prepared to let the lack of any interior upgrades go because, quite frankly, the TT already has a nice one to begin with. But going back to that engine upgrade, the only thing that I can say is “wow”. HPerformance at Osterburken, Germany – a company’s name that more than ever stands for pioneering spirit and development – once more crosses the known up to now 5 cylinders TFSI tuning limits by finishing of its actual project. In the past already, the team around Tobias HAEFNER caught attention by tuning of similar strong “conspecifics”, taking into account that the here presented Audi TTRS specimen with its 750 HP (= 551 kW) and 880 Nm of torque puts in the shade all ever having existed in this respect. “Development needs time” – and so this tuned by HPerformance TTRS was not “born” over night. The progressing experience in the practice of planning and testing brought along always new findings, that – at the end – contributed to the success of the project. Core piece of the operation was a tuned GTX-35 turbocharger, applied to an Hperformance exhaust manifold. The chilling is achieved by a company own charge air cooler, the air feed of which is guaranteed by a 90 mm air intake. Likewise known from preceding projects is the 90 mm Clubsport exhaust system. This way, the Black Hawk, as the vehicle was christened in a species-appropriate manner, develops a sound background, that does not only make goosebumps, but makes remember, furthermore, the rally ancestors in the past. The fuel feed was also modified. Besides a tuned high-pressure fuel pump, optimized injectors were installed, too, in order to warrant for the engine fuel supply. The power transmission is materialized via a spring-borne sintered metal clutch. In order to cut off the generated out of all these power components movement at any time, an Audi R8 ceramics brake system was installed. And in order to warrant for a smooth interaction of all these components, the software development partner MTR-Performance made car balancing in real time. The total tuning costs are about 50,000 Euro. By the way, HPerformance offers this kind of car tuning, as well as the inferior tuning stage, in shape of a tuning kit. The first steps can be made by a 600 HP 9,999 Euro turbokit.